You probably know that our interest is always piqued by college rankings, like the U.S. News ratings and the Princeton Review’s best party schools list. There’s a bunch of these lists coming out with the start of school, and one of the more interesting surveys is Washington Monthly’s best service schools rankings. The top school in the country, by their measure? 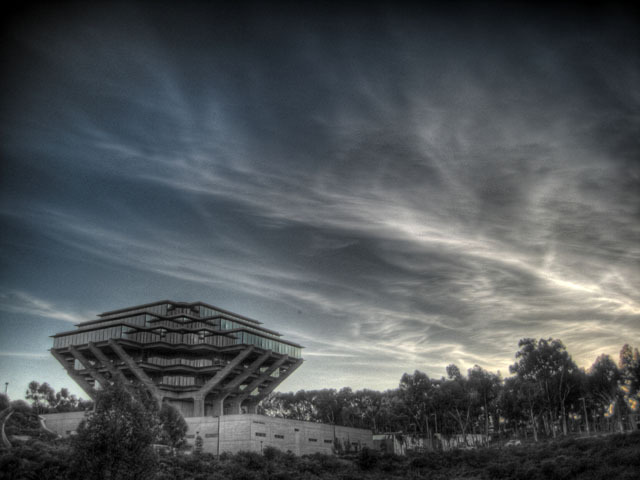 UC San Diego, which can celebrate not being in the shadow of Berkeley and UCLA for once. Here’s who rounds out the Top 10 on their list, as well as the best in Liberal Arts, Master’s, Baccalaureate schools, and community colleges. The main categories that go into the mix are social mobility, service, and research. The social mobility ratings measure students receiving Pell Grants and the difference between projected and actual graduation rates, while service takes into account community service hours, work-study funds, and how many students go into the Peace Corps and ROTC. On these grounds, it does stand to reason that top-level research schools that are designed to serve more economically diverse populations would fare better. Hence, the strong performance of research-oriented state universities, though we in the UC know that the schools need to work on making themselves more and more diverse in terms of the racial and class make-ups. The list seems to pride itself on offering a perspective that tries to separate out the factors of cultural capital and status from what a college offers, going great lengths to pick on the Yales and Princetons of the world as basically Wall Street farm teams. As the magazine describes its own rationale, “Instead of asking what a college could do for you, we asked, ‘What are colleges doing for the country?’” This methodology lends itself to a little Ivy bashing, as the editors question just what hedge-fund manager factories are doing for their country, a description that might not be entirely fair as much as we’d like to mock ’em. Whatever the rhetoric or agenda, at least the Washington Monthly list puts the spotlight on really good schools that sometimes get the short end of the stick in the national rankings that prop up legacy schools. And it seems to be a serious endeavor, which, as we know, isn’t always the case in these things.